New Plymouth Argyle loan signing Scott Griffiths says he feels the team is a lot better than their 19th place in League Two suggests. The 26-year-old Peterborough left-back on Tuesday and went straight into the side for the win over Aldershot that evening. 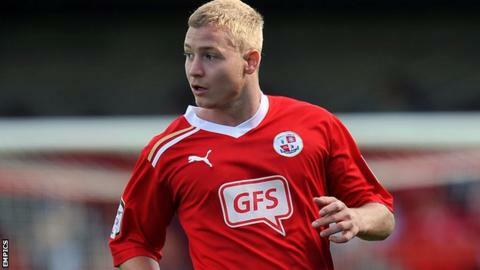 "To me it doesn't look like a team in that position," Griffiths told BBC Radio Devon. "Hopefully while I'm here I'd love to see the team climb a few positions." Griffiths had not played a game this season until the 2-1 victory over the Shots in the Johnstone Paints Trophy. He only found out about Argyle's interest that morning and then made a five-hour journey to Plymouth that day. "I rushed home, packed everything and drove down," he continued. "It was definitely a bit of a challenge as I've played two reserve games in the past two weeks, but prior to that nothing since the start of pre-season. "It was straight into the changing room, kit on and play - there wasn't time for a proper pre-match, but it seemed to work out OK."
And he feels that Argyle have what it takes to climb back up the leagues and one day regain their status as a Championship club. "It was only a couple of years ago that they were in the Championship, so they're not a small club by any means. "They've got the players and the staff to get back in that position."